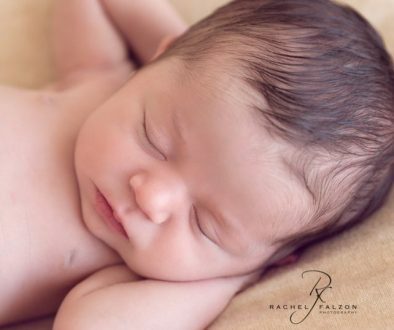 Little Harper came into my studio to have her beautiful baby portraits taken at 18 days young. She came along with her Mum, Heather; Dad, Sherin; and her very proud big sister, Charlee. You just had to take one look at Charlee to see that she was so excited about the new arrival. When I asked her if she was happy about her new baby sister, she gave me a huge grin and straightaway gave little Harper a cuddle. My heart promptly melted. 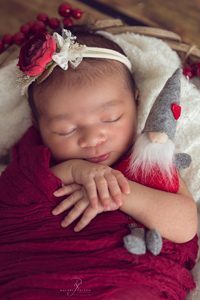 During the session we did a set of beautiful family and sibling portraits as well as Harper’s individual baby portraits. What a truly gorgeous family. You can just see how happy they all are. Harper was she was such a good sport throughout her session. 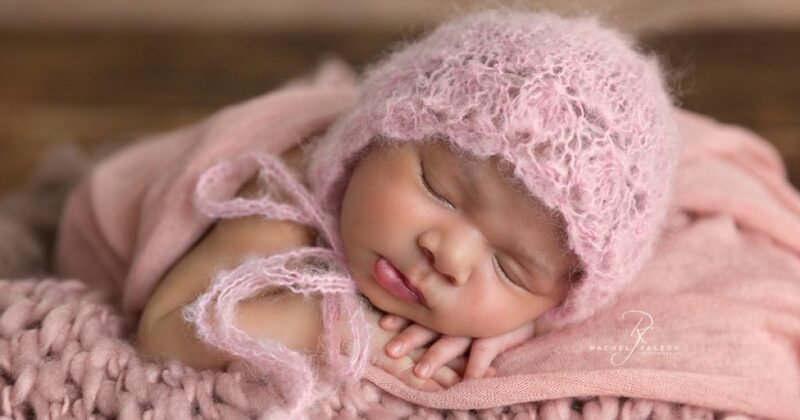 We started by wrapping her up and sending her off into a lovely deep sleep. After her family photos, Harper was posed in some bowls and being so close to Christmas, we included a lovely Christmas setup to share with family and friends. 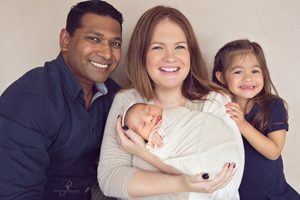 While the session is always a beautiful time: I love cuddling the babies and seeing the newly formed bond between families and their new arrival, my absolute favourite part of the job is what I call my ‘reveal’: when I present my clients with their images with a beautiful video and then show the museum-quality fine art prints. It’s always an emotional unveiling and I love hearing the gasps, “wow” and seeing a tear or two of pure love fall from mum and/or dad’s eyes. This unveiling was no exception. 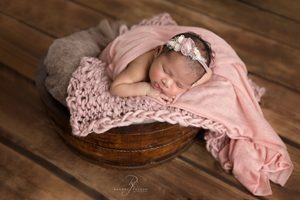 It really is a pleasure for me to create lasting memories for my clients and produce beautiful baby portraits while I capture such a special time in their lives. 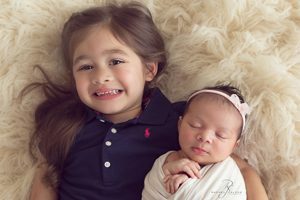 The Sylvester family chose a beautiful array of photos from their session that are sure to be treasured for a lifetime. 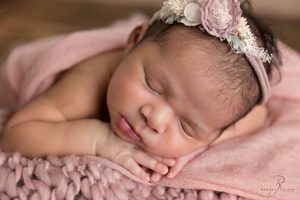 Are you pregnant and want to have baby portraits taken when your little one arrives? 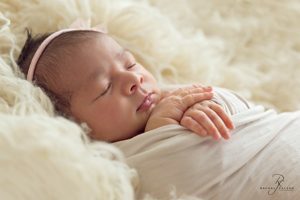 Please take a look at my newborn gallery for examples of my work. If you like what you see, drop me a line at Rachel@rachelfalzonphotography.com.au or complete the online contact form. You can also follow my work on Facebook or Instagram.